The original landscape fabric that started it all. Easy to cut and install. This particular fabric starts out with a woven piece of fabric like the ground cover, and then the non woven (fuzzy) material is added. The non woven fabric’s only function is to increase water permeability. Heat sealing (melting) the edges prevents the fabric from fraying or unraveling. Since the fibers are synthetic and not natural, the material resists rotting and degradation. 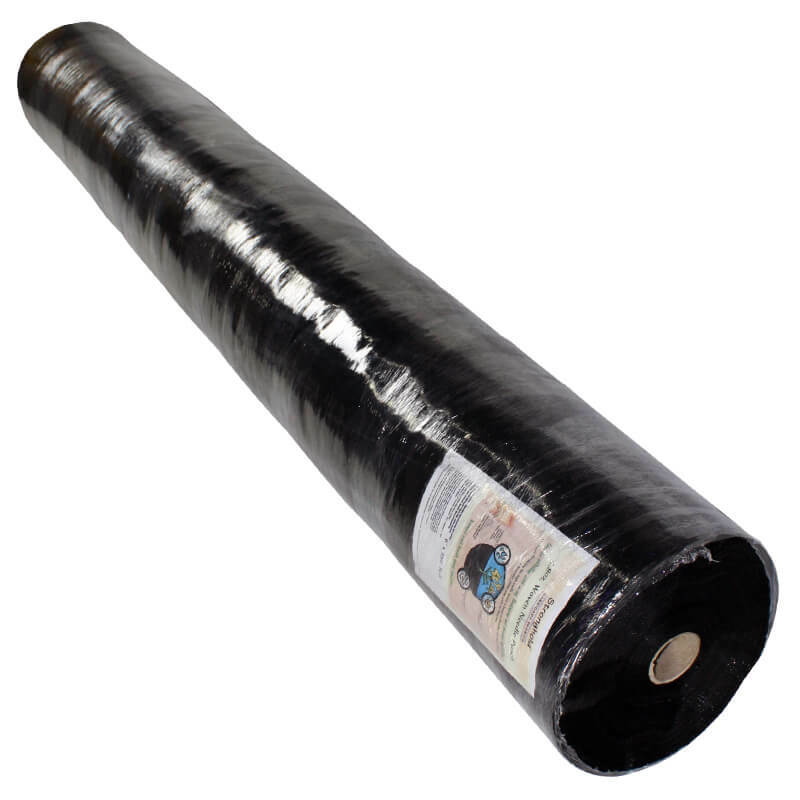 The black woven needle-punched fabric offers excellent strength and toughess with a high degree of UV resistance. Air and water flow through easily while weed growth is severely restricted. The black color prevents light penetration and the needle punching method of fabrication provides stability on slopes. Color stripes 12″ apart allow for easy plant spacing and alignment.